As more Americans get health coverage under the Affordable Care Act, spending on health care is rising faster than it has in years. The United States spent $3.2 trillion on health care in 2015, up 5.8% from the year before, according to new data from the Centers on Medicare and Medicaid Services. That's faster than in 2014, when overall health spending rose 5.3%. And it's the fastest growth rate since 2007. That $3.2 trillion represents the combined amount spent on health care by all players, including the federal government, individuals, businesses, and state and local governments. Total U.S. health spending reached nearly $10,000 per person last year, up 5% from the prior year. And as a share of the economy, it rose to 17.8% of GDP, up from 17.4% in 2014. 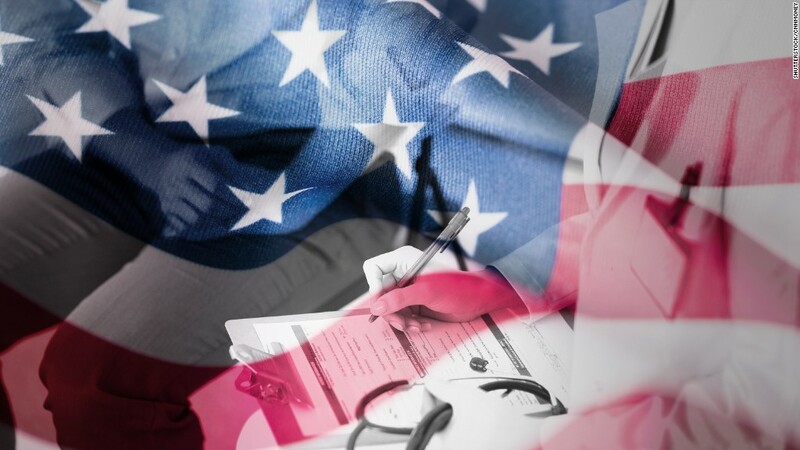 The increase is largely because of expanded health coverage under the ACA and greater use of health care services, the journal Health Affairs noted in an analysis of the CMS data. In 2013, 86% of the population was insured. By 2015, nearly 91% was. Overall growth in health expenditures last year was driven largely by money spent on private health insurance (up 7.2%), hospital care (up 5.6%) and physician and clinical services (up 6.3%). Meanwhile, out-of-pocket costs for individuals (e.g., copays, coinsurance, deductibles and money spent on non-covered services) rose 2.6% to $338.1 billion. That's up from a 1.4% growth rate in 2014. For the second year in a row, the dubious award for fastest growth, however, goes to retail prescription drug spending, up 9%. "[That's] primarily due to increased spending on new medicines, price growth for existing brand-name drugs, increased spending on generics and a decrease in the number of expensive blockbuster drugs whose patents expired," according to Health Affairs. The rate of growth in national health care spending had been at record lows from 2009 through 2013, muted by the weak economy and some ACA measures meant to limit expenditures. But it began to grow again in 2014, as more Americans received coverage through the ACA exchanges and Medicaid expansion. Republicans have long vowed to repeal and replace "Obamacare" as the ACA is known. Now that they will control the White House and both chambers of Congress in January, however, the party appears to be split on just how they'll go about doing that. And nearly half of Americans (49%) say they don't want it repealed.